Make a Bid for Freedom with Your Buddies in Sequel to Multi-Million Selling Prison-Escape Game. Craft, Steal, Brawl and Escape! 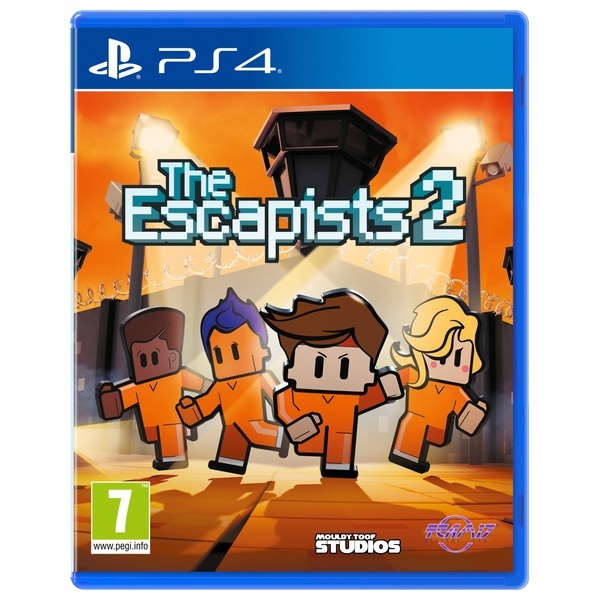 It’s time to bust out of the toughest prisons in (and out of) this world as you return to the life of an inmate in The Escapists 2. Have you got what it takes to escape? he Ultimate Prison Sandbox! Risk it all to breakout from the toughest prisons in the world. Explore the biggest prisons yet, with multiple floors, roofs, vents and underground tunnels. You’ll have to live by the prison rules, attending roll call, doing prison jobs and following strict routines; all the while secretly engineering your bid for freedom! Your prison escape antics will take you from the frosty Fort Tundra, a train hurtling through the desert, and even to the final frontier! Create YOUR Con! It’s time to make your prisoner truly yours. Choose from a massive array of customisations to make your character unique to you. It’s important to look stylish whilst you mastermind your esape. Prepare for a fight! The Escapists 2 introduces a brand new comba system to make every prison brawl more exciting and interactive. You’ll have to block and tie together chains of attacks whilst strafing around your locked on targets to gain the upper hand in combat. Make sure your visit the gym first to build up those muscles!